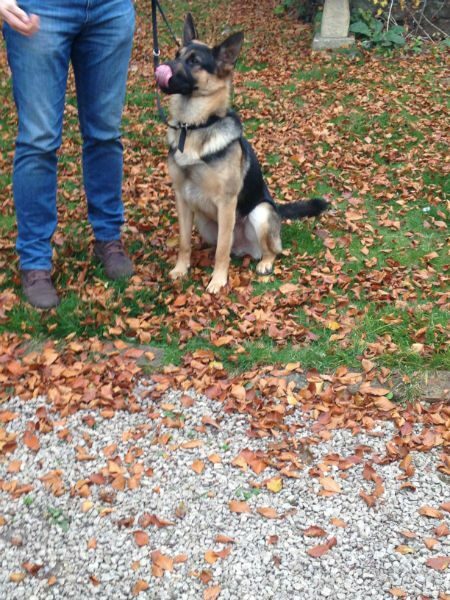 Say hello to Gerry, still a youngster at only 16 month, neutered, fully vaccinated and chipped. Sadly it would seem that Gerry has decided that he needs to protect Paul especially in the home and this is quite rightly becoming a problem. 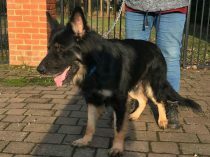 Throughout the assessment Gerry sat at Paul’s feet on his lead wearing a muzzle and gave low growls to the volunteer if she moved in a way he felt uncomfortable with, a very unhealthy place for Gerry to be and a change is very much needed. 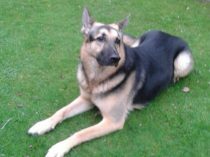 Gerry has apparently been away on a 3 week training course away from his dad and does spend time in kennels where he is fine with all the people that handle him . 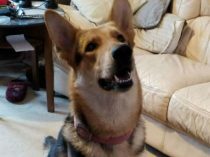 He will need a confident experienced GSD owner who can show this boy that his job is to be the family dog and not the protector, show him it is ok to relax around people in and out of the home. 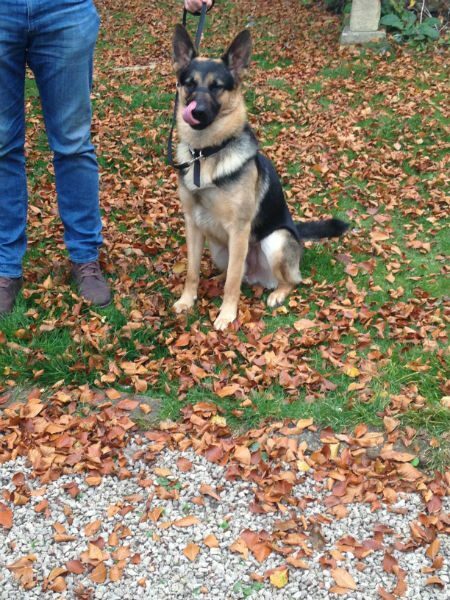 A home without young children is needed, he will need further training and socialising with other dogs and a no to cats. He is spending too long on his own and this is not helping with his issues. Can you offer this lad a second chance. German Shepherd Rescue Elite was not only set up to help as many unwanted, abandoned and neglected German Shepherds as possible, but to also offer education to the general public on the responsibilities / pros / cons of owning a large working breed dog and to be able to offer help and advice so hopefully we can become the prevention for once instead of always being the cure. 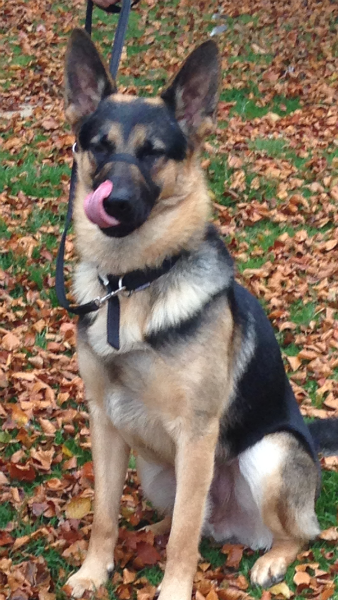 Copyright © 2015 German Shepherd Rescue Elite. All rights reserved. Registered Charity No: 1150928. Registered Company No. 8289960.